Beautifully crafted pleated cushion cover is ultimate for sprucing up your drably looking ambiance. Its finely pleated design in cream colour is perfect for furnishing a peaceful aura. The lavish cream colour will add grace to your room. Available in 18" x 18" size, this fabulous cushion cover is made up of 100% polyester. 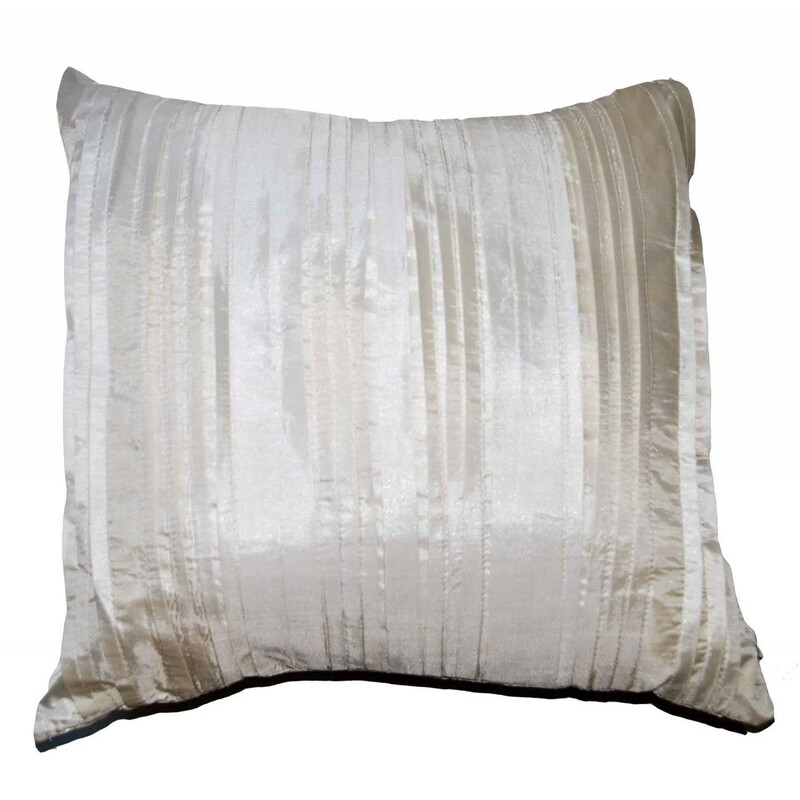 Easy to clean, our cushion cover can be easily dry cleaned to get rid of various stains. Washing Instructions: Dry clean, Cool iron only, Do not bleach or tumble dry, Not Machine washable.